For asset servicers, constant change is just a regular day at the office. Boston, September 17, 2014 – Asset servicing firms experienced big swings in the past dozen years as well as market consolidation and fierce competition. Asset servicers have committed significant attention (and dollars) to their technology platforms and come to a better understanding of a good business deal. They are also the beneficiaries of experienced clients that recognize the true nature of partnering for operational outsourcing. For asset servicers improving operational efficiencies, handling new regulation and upgrading technology in response to market and client changes is all part of daily life. 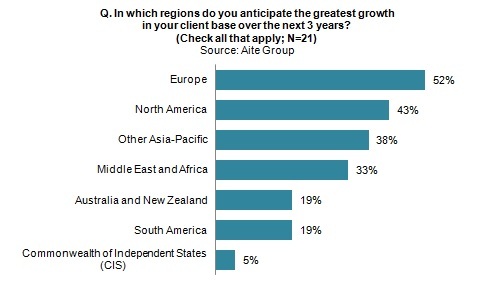 Based on a spring 2014 Aite Group online survey of 21 asset servicing firms located around the globe, this research offers a brief respondent Q&A on the structure, business challenges, and status of the asset servicing business. This 23-page Impact Note contains 20 figures. Clients of Aite Group's Institutional Securities & Investments service can download this report.